I’m super busy with work this week but found this great article full of fantastic information and wanted to share. Christmas is right around the corner and as a reminder to readers…… please consider the impact of your purchases by buying compassionate, cruelty free and environmentally friendly presents for your loved ones. Sadly, millions of animals suffer and are killed every year for the clothing industry. Often, we purchase fabrics without any awareness of the inhumane cruelty that took place throughout the process. I too am guilty. I used to love angora. I am an animal lover and activist, however, for years I never realized the unbearable pain, torture and suffering rabbits endured so that I could wear my latest cardigan or jumper. 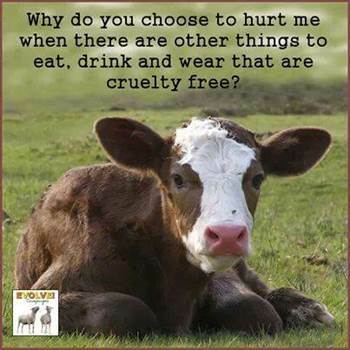 Many vegetarians and vegans refuse meat, however, do not realize that the clothes in their wardrobe may also have been the result of a torturous existence and unbearable death for many animals. Most people are now aware that wearing fur is not acceptable due to the widely shared knowledge that the process involved is barbaric. What is not widely known, though, is that jumpers, coats, shoes, dresses and many other items are also products that have been manufactured using the same or similar cruel methods. In most cases, animals are bred purely as tools for the mass production of clothing. Spending their entire life kept in small cages, they are subjected to unimaginable cruelty on a daily basis. Living in fear and in an unnatural habitat, most of these animals suffer severe psychological trauma, as they are held captive until they are no longer seen as worthy and are then faced with a painful slaughter. Some of the most sought after and popular fabrics are unfortunately those that are direct results of unthinkable practices. Here are a few, but there is a lot more information easily available on the Internet for those that would like to know more. I have tried to keep the information mild, as it can be very disturbing to read the extent of the suffering, however, I have included links at the bottom for further reading. Angora is a specific breed of rabbit. Whether these animals are sheared or their fur is painfully torn from their skin, they are still mostly held in factory farms, purely for the purpose of extracting their fur. Males do not produce as much fur, so many are killed at birth. Cashmere is a breed of Himalayan goat. Only the very soft fur on their under belly is used and it can take the combing of three goats to make one jumper. These come from ducks and geese. In most cases the feathers are pulled while they are still alive and they go through this process approximately three times during their life before they are killed for their meat. This comes from rabbit skin, fur or wool. Using the same processes used in fur and wool production. Cats, dogs, seals, bears, foxes and various other animals are often stolen or have been caught using barbaric traps where they can die of starvation before found. Animals are also bred for their fur, spending their lives in cramped cages before they are then killed using methods such as suffocation, electrocution, gas or poison. 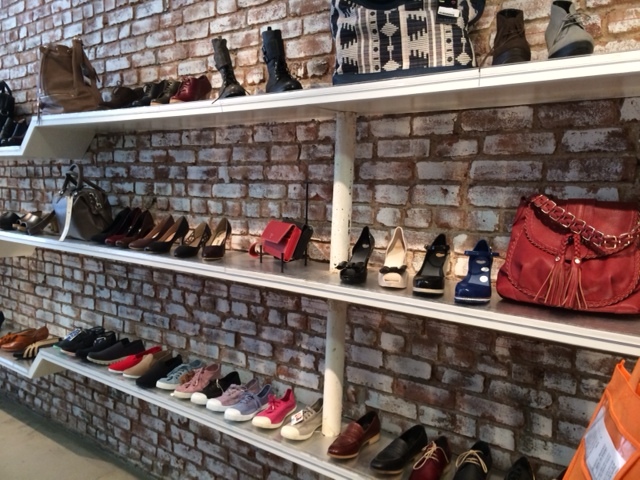 Leather and Suede: cattle, snakes, alligators, seals, crocodiles and numerous other animals. Animals can be skinned while still alive, or they can suffer painful and horrific deaths by electrocution, shooting amongst other methods. The caterpillar of the silk moth, silk worms. So that the silk thread is kept intact, the worms are killed inside the cocoon by steam or heat from the oven they are placed in. The sheep are sheared, however, due to mass production this can cause pain, fear, cuts and wounds due to the mishandling of the sheep that are desperate to escape. Some breeds of sheep grow just enough wool to keep them warm through the colder periods and cool during the summer months. Whenever they are sheared they are left vulnerable, as they do not have their natural coat to protect them. There are humane companies that are not involved with the above practices. Many places have regulations in place which limits suffering to the animals. Unfortunately, though, textiles are often mass-produced in countries that have absolutely no regulations in place for the handling and killing of animals. Clothing and fabrics can be mis-labelled and it can be very difficult to trace exactly where a fabric has come from. Nowadays buyers are becoming more aware of the processes used to produce clothing and a growing number are turning away from certain fabrics in favour of more ethical options. The high street and online retailers are responding to the change with many companies choosing cruelty-free and environmentally friendly alternatives. There are now many options available, which makes it very easy to purchase garments that have been manufactured without the involvement of animals and with the minimum use of harmful chemicals. Many variations of faux fabrics look and feel almost identical to the originals. Leather, suede and fur are all simulated to create a realistic, but ethical choice. Fleece is also now the preferred option to wool as it creates a similar feel and is warm and breathable too. Leather is often believed to be a by-product of the meat industry, however, that is not always the case. Many animals have their lives ended prematurely in order to create shoes, bags, furniture and many other products. Regularly the process has taken place in countries where there are no laws in place for animal protection, so, poor treatment of the animals and inhumane slaughter is widespread. Eco-friendly fabrics are on the increase as it is not just the suffering of animals that causes a problem. The emissions from bleaching and dying the fabrics can have harmful effects on the body and endangers the environment too. Cotton, linen, rayon, denim and ramie are plant-based fabrics but are not always produced sustainably. For a more ethical option, there are also organic and sustainable options available. For a cotton or linen alternative, there is an increase in the use of flax in textiles. This plant can be grown with far less water and fewer pesticides. Hemp is also becoming a more popular fabric as the market is placing demands for renewable and sustainable alternatives. Due to Hemp’s natural oils having no appeal to pests, the use of herbicides or insecticides is completely eradicated. Hemp retains it’s natural colours, removing the requirement for synthetic dyeing. Tencel, made from eucalyptus wood is an increasingly preferred environmentally friendly option to denim. The fibre is fully biodegradable and the majority of the solvent used in the process is recyclable. There are many companies now (some listed below) that will only purchase textiles that are processed with zero tolerance for cruelty and that are eco-friendly. Many high street retailers are now introducing new lines with promises to make an entire change to all of their collections within a set time-frame. Due to increasing consumer demands for alternatives H&M released a new line of clothing on October 4th 2014 called H&M Conscious Collection. Organic cotton, Tencel, recycled wool and organic linen were all used to manufacture textiles for a sustainable fashion choice. Not only are the fabrics environmentally friendly, but the washing processes required for these fabrics reduce the impact on the planet. By 2020 H&M promise that changes will be in place to ensure all of their fabrics will have been ethically produced. Being mindful when we purchase will reduce the demand for inhumane options and eventually eradicate the barbaric suffering that millions of innocent animals endure on a daily basis. Choosing conscious organic, eco-friendly and cruelty-free options not only lessens the unnecessary suffering, it also reduces the harmful effects on our environment and enables us to lower our carbon footprints too. 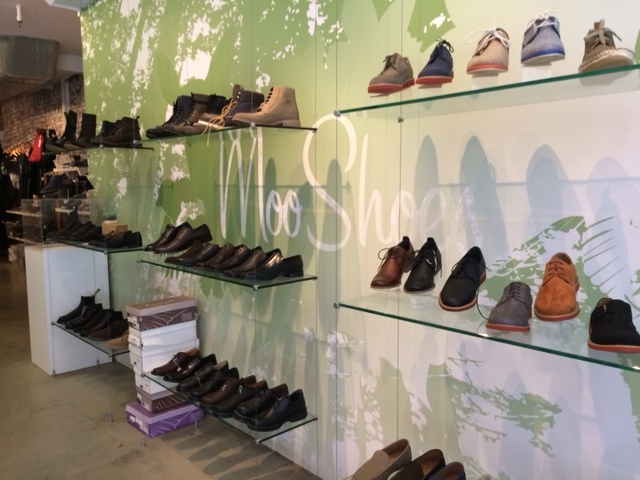 Below are a few pics of the beautiful shoes, bags, belts and other accessories that are available at MooShoes in New York City, you can also purchase from them online. They contain no animal products, by-products or derivatives. Plus they are all super, super cute!! It feels so great to be cruelty free! This entry was tagged Cruelty Free, cruelty free fashion, cruelty free products, eco-friendly, environmentally friendly, vegan. Bookmark the permalink.